This course can start at various times during the year. This programme will take a minimum of 16 months to complete. 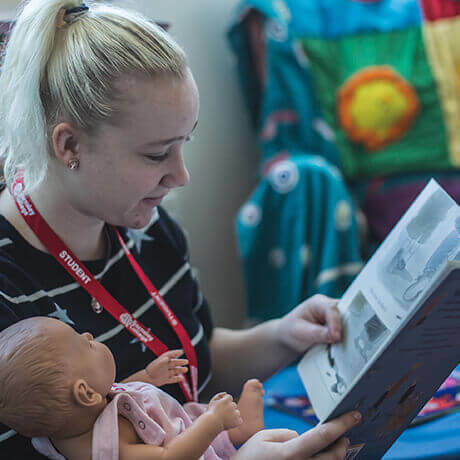 This qualiﬁcation will develop the knowledge and skills needed when working with children and young people in a residential childcare setting. This qualification enables you to gain essential skills and knowledge to support children and young people in residential childcare settings, including: well-being and resilience, positive relationships and attachments, health and safety, sexual exploitation, communication, positive behaviour and positive outcomes. Understand the development of children and young people in residential childcare. Support risk management in residential childcare. Assessment and planning with children and young people in residential childcare. Support group living in residential childcare. Understand how to support positive outcomes for children and young people in residential childcare. Support attachment and positive relationships for children and young people in residential childcare. Support the wellbeing and resilience of children and young people in residential childcare. Support children and young people in residential childcare to manage their health. Support the development of socially aware behaviour with children and young people in residential childcare. Engage in professional development in residential childcare settings. Support the rights, diversity and equality of children and young people in residential childcare. Participate in teams to benefit children and young people in residential childcare. You will also study optional units. You will be assessed using a portfolio of evidence, observations in the workplace and assessment tasks. You will be assessed both in college and in your place of work. The course uses an online portfolio so access to a computer and the internet will be required. If this is not possible, a paper based portfolio could be accessed. You will study within the workplace and may have to attend classes at Barnsley College, Old Mill Lane Campus, Church Street, Barnsley, S70 2YW. Registered Residential Childcare Managers, Deputy Managers and Assistant Managers (further professional development or qualifications may be required once in post). Managers, Deputy Managers and Assistant Managers in other adult or children and young people’s social care settings (further professional development or qualifications may be required once in post).